Ben 10 Ultimatrix's seem to get better and better each year - and this release from Bandai is no exception. As one of the hottest boys toys around, the Ben 10 Ultimate Ultimatrix enables little boys to role play as one of their favourite TV characters. With immaculate detailing and a transparent shell, kids can see inside the Ultimatrix and view all the circuitry and gadgetry that goes into this high-tech gizmo. The sound effects such as alien voices, and lights generated by the Ultimate Ultimatrix help to inspire hours of imaginative play by Ben 10 fans everywhere. This watch is supplied with a clear Ultimate Humungousaur mini disc to battle against Vilgax or Aggregor. Kids can even search for the secret in-built signature that has been left by the Ultimatrix's creator, Azmuth! 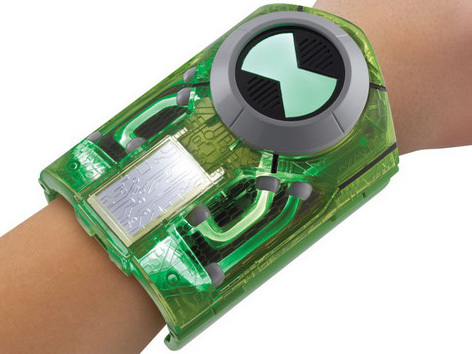 Please tell us what you think of the Ben 10 Ultimatrix Watch by Ben 10.